On October 28, a regional court in Jalal-Abad, southern Kyrgyzstan, announced its verdict in the trial of six men--all ethnic Uzbeks — charged in connection with violent ethnic conflict in June 2010. Among the defendants were owners of what was once the region's most influential media - Khalil Khudaiberdiyev of Osh TV and Dzhavlon Mirzakhodzhayev of Mezon TV. The Jalal-Abad City Court declared the defendants guilty on separate counts of incitement to ethnic hatred, organizing mass disorder, creation of armed military groups, separatism, and abuse of office. Khudaiberdiyev was sentenced to 20 years in jail, and Mirzakhodzhayev to 14 years; both men had fled Kyrgyzstan in 2010 and were tried and sentenced in absentia. CPJ research, including interviews with local journalists, human rights activists, and government officials, showed that charges against Khudaiberdiyev and Mirzakhodzhayev were fabricated and levied in retaliation for their journalism. The two are guilty only of broadcasting, in the spring of 2010, a protest rally in Jalal-Abad against ousted president Kurmanbek Bakiyev. At the rally, leaders of the Uzbek minority called on the people to abstain from violence and to support the interim government of then-President Roza Otunbayeva. At a May meeting with Kyrgyz government officials in New York, CPJ asked whether reporting on protest rallies is a criminal offense in Kyrgyzstan. Mira Karybayeva, a presidential administration official, said it was not; but when quizzed about the media owners' prosecution, Karybayeva was unable to explain the reasoning behind the case. 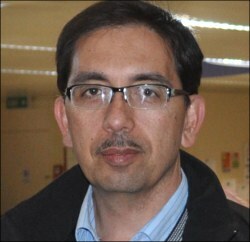 The court verdict follows repeated calls on Kyrgyz authorities, including President Otunbayeva, from CPJ and local and international press freedom groups, to drop the fabricated charges against Khudaiberdiyev and Mirzakhodzhayev and allow them to return to Kyrgyzstan to practice journalism without fear of retaliation. Mirzakhodzhayev: Up until this past April I was not aware of any criminal case against me; when I met with the investigators in May 2010 they told me I was a witness in the probe into the spring 2010 deadly clashes between ethnic Uzbek and Kyrgyz residents in Jalal-Abad. But then, in April of this year, as if at someone's order, state-controlled media reported that a trial over Uzbek diaspora leaders and journalists had started, and mentioned all the charges against us. We were indicted in absentia on separate counts of organizing and participating in mass disorder, incitement to ethnic hatred, separatism, killings, and abuse of office for personal benefit. Based on the verdict [made available to CPJ], all of these charges are absurd and baseless, and not a single charge was proven either during the probe or in court. Prosecutors had no evidence to prove that I organized the masses in Jalal-Abad, called for disorder, or gave guns to anyone. Is there a single handgun that the court declared as a piece of evidence in my case? They also failed to present the court with any witness statements indicating that I allegedly had called for ethnic violence. I did not attend those protest rallies that prosecutors say I helped organize - I was at the Mezon TV offices at the time. Also, there is no evidence indicating my belonging to any organization that Kyrgyz courts declared separatist. As a media outlet, Mezon TV reported on all events taking place in the country. We aired footage from the anti-Bakiyev protest rallies in Jalal-Abad as they were. These reports contained no anti-constitutional statements, and they could not in their form and content. Every day, up until the clashes started on June 10, 2010, we broadcast statements by regional authorities, in which government officials called on the people to support Otunbayeva and her interim government. Officials urged the people to stay away from provocations by Bakiyev's supporters, to abstain from violence. Following the prosecution's logic, if Mezon TV is charged with separatism, then Kyrgyz authorities must indict themselves, not us journalists. We aired their own reports and statements. CPJ: Could you or your representatives deliver your opinion on the charges to the investigators and the court? Did you hear back from them? Mirzakhodzhayev: Not a single statement or appeal made by my lawyer was accepted or approved by investigators or judges in the case. I can only suggest that they did not want to make any changes in the "scenario" they were given from above for implementation in the case. The charges invented by the prosecutors, as well as the court verdict, clearly indicate that state agencies have been used to intimidate ethnic minorities and their media. And what makes it even worse, is that the lack of a clear and solid reaction from the president to this trumped-up case, and the pretrial naming of the conflict instigators by the parliament in June of this year, influenced the verdict in our case. CPJ: Do you plan to appeal the verdict? Do you believe justice will be served in your case? Mirzakhodzhayev: Yes, I will use all the rights and opportunities granted to me by the Kyrgyz constitution, by the international acts and agreements that the Kyrgyz government has signed, to prove my innocence. Mirzakhodzhayev: How can one discuss the state of the Uzbek-language media in Kyrgyzstan when it was virtually destroyed, and what's left of it now is a state-run publication in Uzbek, with a print run of 1,000 copies? There is no media to discuss. News reports in Uzbek are available only from the broadcasts from Uzbekistan, but that's another country, another ideology. Unfortunately in recent years, Kyrgyzstan turned into a very corrupt state, where organized crime--and now radical nationalist groups—gained a lot of influence over elected officials. The same influence expanded on the media--many of Kyrgyzstan's news outlets lost their independence, became subjected to the whims of such groups, and report accordingly. Intimidation of journalists and media workers by state agencies, and physical attacks and threats against reporters from criminal groups, became a usual thing in the past year. Journalists are scared, and this hardly contributes to press freedom. In these conditions, within a year, Uzbek-language media outlets have been practically wiped out. Since the [summer of 2010] more than five major news outlets were forced to shut down in southern Kyrgyzstan; more than 30 media workers have fled the country; more than 10 became victims of physical assaults. All this is a campaign of terror against free speech. CPJ: On October 30, a new president, Almaz Atambayev, was elected to office. Would you like to appeal to him? What do you think needs to be done to improve press freedom in Kyrgyzstan? Mirzakhodzhayev: There's always hope when a new leader is elected, even though Atambayev is not a newcomer. [Prior to elections, Atambayev served as prime minister under Otunbayeva and Bakiyev.] I hope that in the case of jailed-for-life journalist Azimjon Askarov, in the cases of assaulted and threatened reporters, in our own case, he will be able to make a fair and lawful decision. But he needs help - an open letter, an appeal to the president from famous people from all over the world, from those who are interested in democratic changes to replace nationalism and tragic conflict. There is an urgent need for such action. It will demonstrate that a journalist and a human rights activist are not alone in their fight for truth, that the international community is a powerful force for supporting democracy and human rights in Kyrgyzstan. We need this action to improve press freedom conditions in Kyrgyzstan; to help the independent press recover and start working for the benefit of civil society, and do that without the fear of retaliation.